If you want to solve a particular problem, you need to know which is the right type of tool for the job. Sometimes, there are even several potential solutions to a single task and you need to know which is the most efficient and appropriate tool to use. Computer science is no different to any other sphere in this sense, and an understanding of what is meant by the various different types of programming languages is something you absolutely must have. If you’re struggling with coding, however, you can always get computer engineering assignment help. What Are the Different Programming Languages Types? There are several programming languages types and each has its own unique reason for existing. Consider the various categories below and you’ll quickly get to grips with what programming is really about. All programming starts at the level of machine language, the world of binary numbers. While you’ll almost never see anyone writing code directly in binary, a combination of ones and zeroes is how computers interpret commands. Whatever you write in your chosen language eventually gets converted to binary for your computer to read. The next layer up is defined as a series of assembly languages which are essentially wafer-thin veneers over the top of the machine language we’ve just talked about. These include the GAS and SPARC assembly languages. Beyond this level are a range of different categories into which all the typical computer programing languages you’ve heard of fit. In fact, many such languages actually fit into more than one category, including the high level and system languages outlined briefly below. These are computer programing languages which aren’t limited to one type of computer. They have a number of features including complex expressions and specific names for different aspects of their functioning. 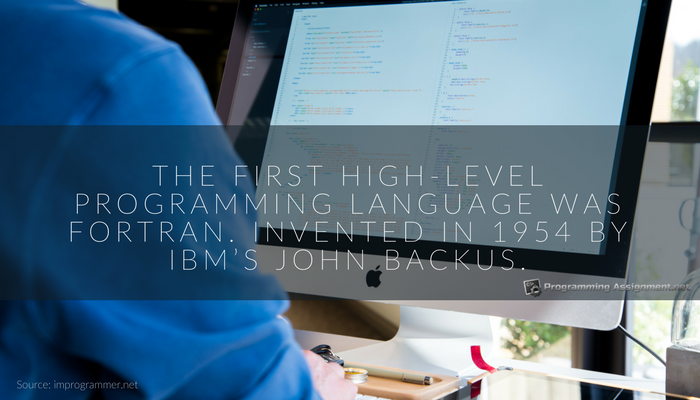 Such languages include C, Java and Perl, amongst many others. If you only starting learning a language, you might want to read some programming tips from people who know the drill. Such languages are use to control a computer system rather than to develop applications. As such, they are generally used for things like device drivers, operating systems and data transfer. They can also be used for the purpose of managing memory and processes. One of the most popular programming languages is known as C. It has been used for well over 30 years and is still going strong, being used mostly for software development. This is despite in being originally put together as a systems language. You can use C to write all kinds of programs from business software all the way to video games. Probably the most useful type of programming is object-based, meaning that you can define data types and set their properties and functions yourself. It’s possible to create links between different structures and you can even create new ones by applying the properties of old structures to them. Of the object-based languages, one of the most popular programming languages is called Java. It is highly versatile and very useful, owing to its ability to be used within other programs. Java applets can be run within third-party software as well as within websites. It’s a great way to write programs that allow a degree of user interaction. You’ll probably already be aware of the existence of a language known as C++. It was based on the original C language mentioned above, except that it’s object-based like Java. In particular, you’ll find that C++ is great for graphical purposes. There are so many different types of programming languages and it’s difficult to cover even one of them in the depth it deserves in such a short article. If you’re new to programming, make sure you know what kind of problems you’d like to be able to solve in the future. Only then will you know which tools you’ll need to create a solution. Learn about the capabilities of various types of programming languages and choose one that fits your needs. With the right tools, every problem has a solution.